Have you checked out the new Color Challenge on the MFT Challenge Blog? I'm loving these warm, sunny colors! 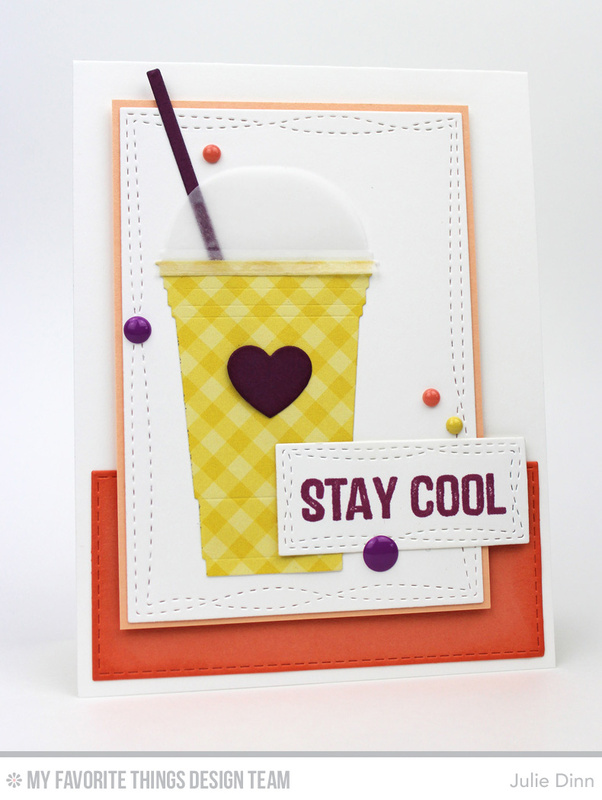 I paired this fun color palette with the Stay Cool stamp set and Cool Cup Die-namics from Laina Lamb. Be sure to check out the MFT Blog to see all the gorgeous creations the MFT design team and our amazing customers have to share with you!